Clickbank will send you a check twice a month for sales. When you use the special link provided on the product's affiliate page, ClickBank places a cookie on the computer of the person who clicks the link on your site. Our billing is processed by ClickBank for the Online training systems. When ClickBank processes a payment from a computer that clicked on your link(within 60 days of clicking the link) you receive credit for that sale and money is deposited in your ClickBank account. When you reach the minimum disbursement amount, they send you a check. It is very easy and very reliable which is why we use ClickBank to manage our affiliate system. Impressive 30-40% commission on every sale, because as an affiliate marketer myself, I know what it is like to earn measly 10% commissions for loads of work. Checks are cut every two weeks. If you sell 3 $47 products per day a day, this would be $20,586.00 a year, that's a full time income! Converts in many different niches, education, college, seniors, self-improvement and parenting for Speed Reading/Memory products, and for eBay related products, there are over 80 Million eBay users in the USA alone, so pretty much a wide cross section of every group. Speed Reader-X Online Speed Reading and Comprehension Training - The best speed reading program available and a hot seller. 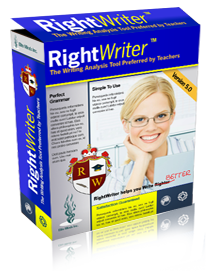 RightWriter Grammar Analysis Software - A powerful affiliate opportunity quickly replacing Whitesmoke - Show your site visitors how they can improve grades or gain promotions by improving their grammar automatically. Grammar Correction Software is hot and so is RightWriter, Click For Details. To comply with current FTC(Federal Trade Commission) Rules, as an affiliate you must disclose on your website that you receive payments from us for each product sold if your listing appears as a review or may be mistakenly interpreted as an average person's opinion when you are in fact a reseller or affiliate. This notice must be made prominently on your website if you receive payments as an affiliate or if you received a free review copy of our products. We realize your "review" may be completely honest and accurate, but we want to make sure potential purchasers are not confused so make sure you list on your site that you are an affiliate. We recommend something like this: "We are proud to be affiliates of Elite Minds Inc. and would promote their products even if they did not have an affiliate program which pays a finder's fee for each sale we generate." Thank you for your cooperation. Sites that fail to list any material connection which are pointed out to us may have their affiliate status terminated depending on the nature of the site and our evaluation. *There is a $100 minimum payout for physical products. Downloadalbe product minimums are set by Clickbank and are usually $10.